Our designs may be the talk of the table, but when it comes to quality, ours goes without saying. 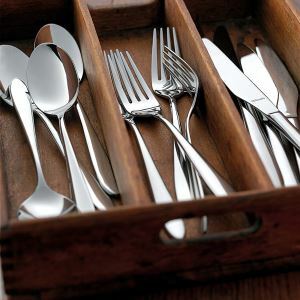 All of our 18/10 Patterns are made from fine quality stainless steel, are dishwasher safe and come with a 25 year guarantee against workmanship and materials. 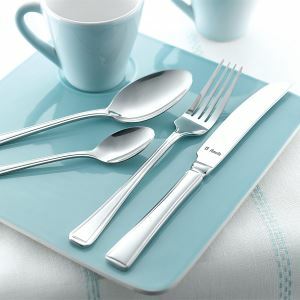 So whether it's a contemporary Originals designs, a timeless Master heritage design or our Premiere range of cutlery or when you're pulling out all the stops, we have styles to suit all tastes. 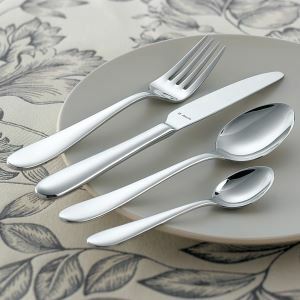 18/10 Cutlery is also known as Austenitic. It stands for 18% Chrome and 10% Nickel.